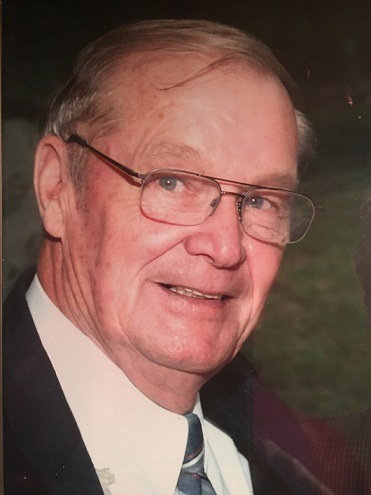 Ralph “Fritz” Hella, age 83, of Gaylord, passed away on Tuesday morning of April, 9, 2019. He was born in Calumet, Michigan on February 8, 1936 to Ralph J. and Hilda (Burkman) Hella. He graduated from Calumet High School in 1954. In 1958, he joined the United States Army and was stationed in the Panama Canal. 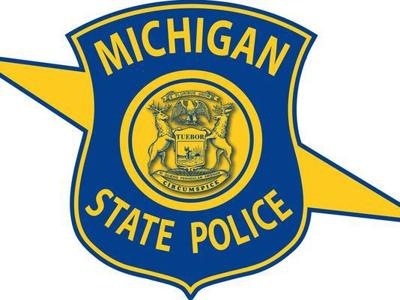 In 1963, he joined the Michigan State Police Academy where he became a State Trooper until he retired from the Gaylord State Police Post on April 1, 1990. After retiring, he worked at A&L Iron in Gaylord. Ralph married Judith (Damp) on May 22, 1965 at St. Thomas Episcopal Church in Trenton, Michigan. They were married for 44 years until her death in 2009. Ralph is survived by his three children; Heidi (Michael) Willison, David (Lori) Hella, and Timothy Hella. He will be deeply missed by his grandchildren; Nicholas, Tyler, Zachary Willison, Hunter, Tara, Boone, Kylie, and Lucas Hella. He will be lovingly remembered by numerous nephews and nieces. He was preceded in death by his loving wife Judith Lynn Hella, his parents, siblings Grace Janet (Baroni), and Carl Ralph Hella. Visitation will be held at Nelson Funeral Home in Gaylord, MI on Friday, April 12, 2019 from 3 p.m. to 8 p.m. His funeral service, with military honors, will be held Saturday, April 13, 2019 at Nelson Funeral Home at 11 a.m. with visitation beginning at 10 a.m.
One of my favorite people. My heart aches for his loved ones. I will always have fond memories of Fritz. It was a blessing to have met him. I loved this man, one of the best “ole boys” as we remember them. I lost my husband, who was a city cop, 3 years ago. Loved Fritz’s hugs and those that I gave him. I am so sorry for your loss and it really is a loss. He was one of the best souls I have ever met. He made my life better. I worked with Fritz on the road between 1983 and 1985. Sorry to hear of his passing. If der is a Dahn’s Donuts up dere Ole Boy I catcha dere later! Heidi, David, and Tim, your dad, Fritz, was such a genuinely good and friendly man. I always enjoyed meeting him around town, mostly at the post office, and having a nice conversation. May he Rest In Peace. He will be missed. Fritz you were the last of the good guys. Always enjoyed your visits. Take care my friend. David, Heidi, Tim, so sorry to read of your Dad’s passing. Prayers to you and your family. Sorry to hear about “Fritz”. Our mothers were cousins. I am from Laurium, now living in the Saginaw area after also having retired from the MSP in 1983. Please accept my condolences. Fritz, you were a good man. I loved being around you, especially at McReynolds. Oh how you dislked some things there, and how the girls made you laugh. But I could cheer you up with a piece of homemade apple pie. Gonna miss you. REST IN PEACE MY FRIEND. SENDING MY CONDOLENCES TO THE HELLA FAMILY. I’m so sorry to learn about the passing of your father. Peace be with you. Hi Tim…so sorry to hear about the passing of your father. You probably don’t know that Fritz played bball with us some mornings and on Sunday. He had a great sense of humor and was well respected by his peers. We all will be thinking of you and your family as you prepare to celebrate his life. Hella family, We are deeply and sincerely sorry for the loss of your father. We will keep you close in our thoughts and prayers in the coming weeks as you grieve his passing. May the presence of family and friends and the memories you hold dear help to ease the pain in your hearts. Sorry to hear of your dad’s passing. Sharing in your sorrow and offering deepest sympathy. My thoughts and prayers are with the Hella family on their loss. Fritz was one of the last gentlemen state troopers and will be greatly missed by all who knew him. Fritz say hi to all the old troopers you have joined in heaven. I know you are with Jimmy, Mutt and all the old Gaylord troops up in heaven! Rest in peace . He was for sure one of the good guys, have many fond memories back when he would stop at Hilltop so long ago. Condolences to all the Hella family. A good friend, who always gave me an uplifting comment whether it was in rehab, sporting event, or when discussing his children at school, will be missed by me and all who knew “Fritz”. God bless you all.